The Service Order represents a client’s contract with you and links them to a Price List representative of your fee schedule for them. While you can have as many orders per client as you like it is more typical to have one order per customer per harvest/vintage year. 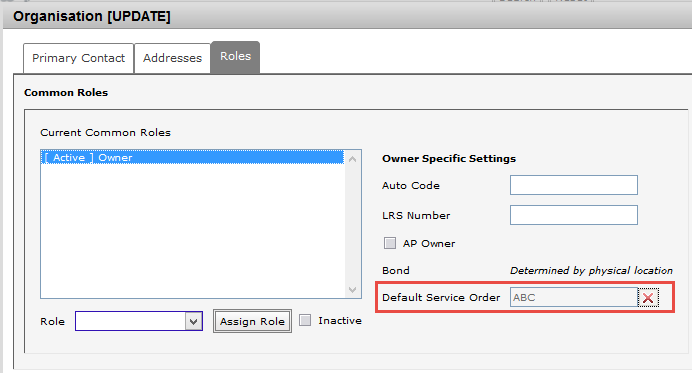 Use the New Service Order… option to create a new Service Order. Order number create a unique order reference for this new client order. A good example might be to use the client code you have setup as the Owner in vintrace and the vintage year. So for JX2 Winery in 2016 we might have order JX16 as the order reference. Party this is where you select your client. If not already configured we’d recommend setting them up as an Owner in the Address book. See this post for more help. Inclusive date set an start date for services where no charges will be raised until after this date, regardless to the work entered. This is typically used for installment billing or where a down-payment includes initial grape crush services. Items with the Advanced price option Bill during inclusive period checked will still continue to be billed even during this period. Payment Terms should be the same as the one applied to the Price List, but you may over-ride the Price List terms for this particular client. 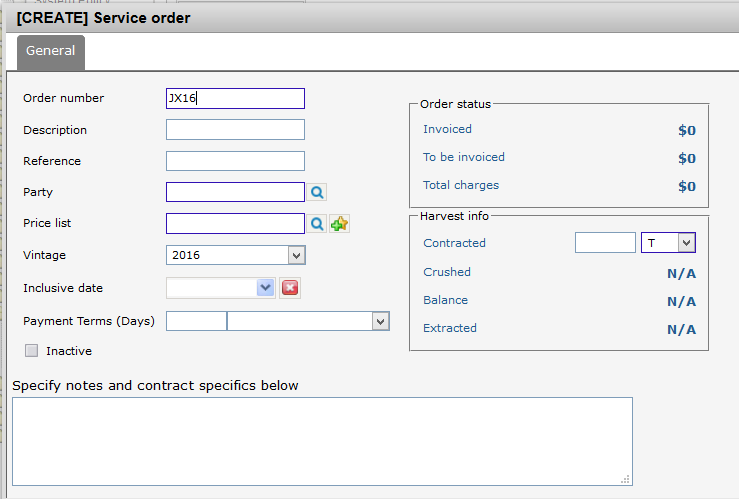 That way when creating a new Wine batch for that Owner the Service order will automatically be selected for you.